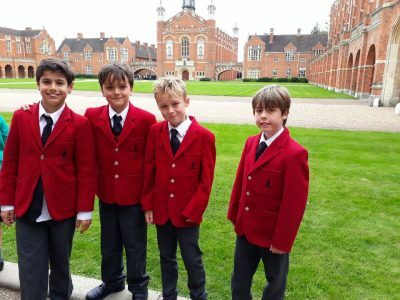 CONGRATULATIONS to Henry, Nathan, Felix J and Pranav for participating in the Sussex Maths Challenge at Christs Hospital last Thursday. Felix J and Pranav came 2nd overall. Well done! And we had another perfect day flexing the brains for our Year 6’s at Windlesham School. Ava, Lacey, Amreet and Kirsten were on top form problem solving, deciphering clues and taking on the infamous ‘maths countdown’! A great afternoon and the girls were a credit to Copthorne. A little challenge for the weekend using any of these numbers, only once: 75, 3, 6, 7, 7, 9 can you make 465? Answers to Mrs Lee on Monday.